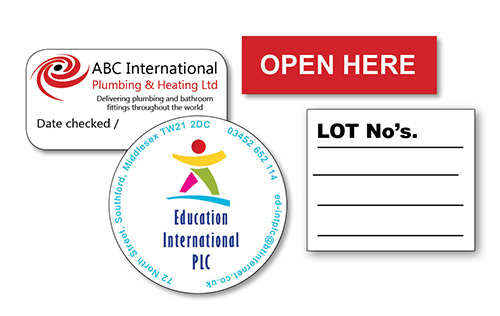 We offer a huge range of round cornered or square cut labels in many different shapes, sizes, on paper or vinyl (which is waterproof) and colours. We can print in black, a single colour or full colour. We can produce any square cut labels up to 300 x 300 mm. Vinyl labels can be any size or shape. Simply let us know what size label you want and the text or image you want on each label. LOCAL –We can visit business clients’ offices at short notice. Free local delivery is part of our service - or you can collect from our centre in Clarence Street. We have a car park for customers’ use behind the centre.